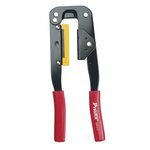 Crimper designed for solar cables and connectors. 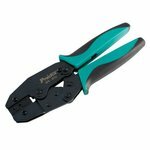 Made of carbon steel. 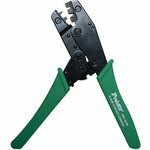 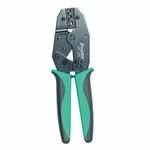 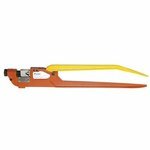 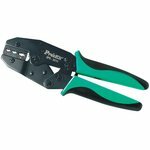 Professional modular crimping tool for solid and stranded wire with a built-in cutter on the rear and a stripper on the front. 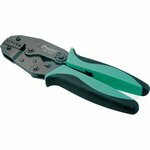 Professional crimping tool for insulated terminals (AWG: 10-12, 14-16, 18-22), made of carbon srteel. Pin terminal crimping tool. 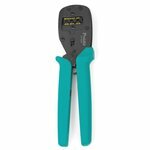 OAL: 220 mm. 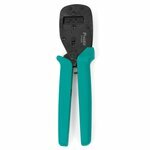 AWG: 22, 20, 18, 16, 14, 12; DIN: 0.5, 0.75, 1.0, 1.5, 2.5, 4.0 mm². 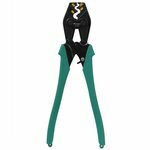 Designed to crimp solar connectors and a wide range of connectors, made of high quality carbon steel. 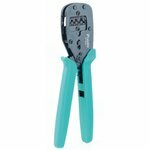 Wire ferrule crimping tool (AWG 26-10; DIN 0.25-6.0 mm²; JIS 0.20-5.5 mm²). 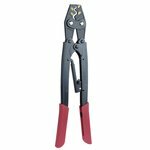 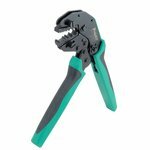 Crimping tool for non-insulated ring and fork terminals. 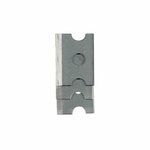 Wire cross section: 0.5-1.0 / 1.5-2.5 / 4.0-6.0 mm². 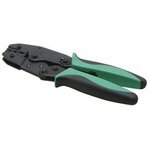 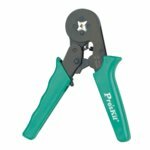 Parallel action crimping tool for commercial type insulated open barrel connectors (AWG 20-18/16-14/12-10). 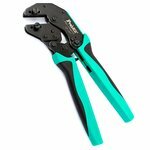 Spare blade set for crimping tools (3 pcs. 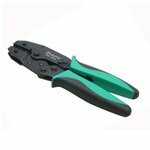 ): 808-376A / 808-376B / 808-376H / 808-376I / 8PK-376 / 8PK-376K / CP-376C.